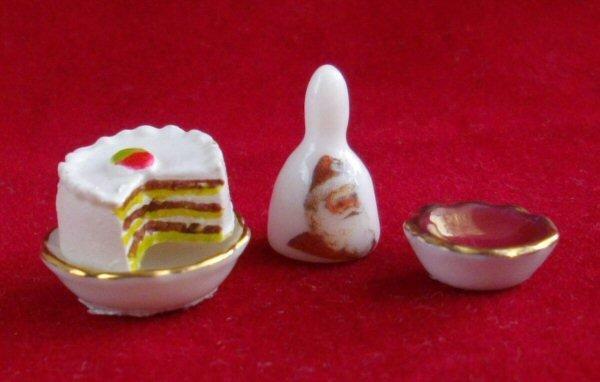 Beautifully hand painted 1/24th scale miniature porcelain Christmas cake, bowl and bell with Father Christmas image. Made by Reutter of Germany, cake on stand measures approx. 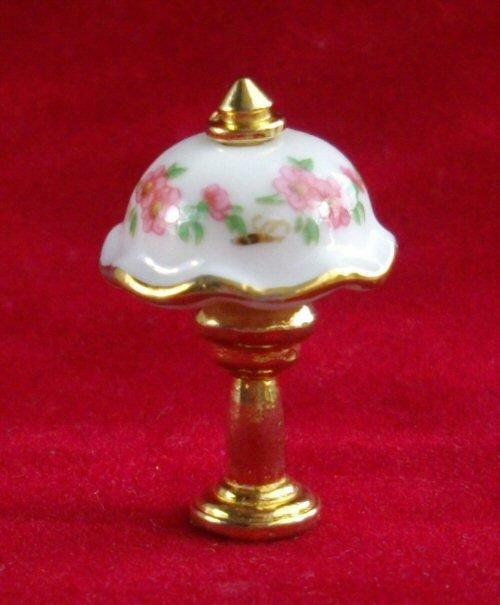 13mm wide and 11mm tall (0.5" x 0.4"), bell is 14mm tall (0.5") and bowl 10mm wide (0.4"). 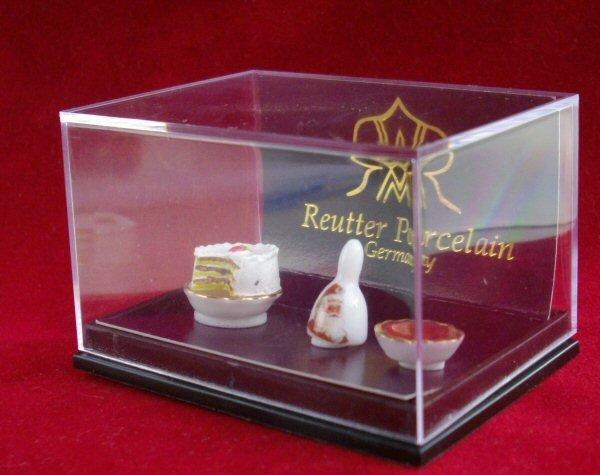 It comes in a little plastic display box which makes it an ideal gift.